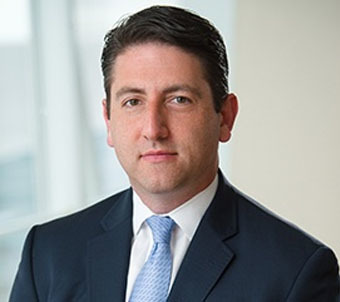 Zachary W. Mazin tries complex civil cases arising out of business disputes, structured financial products, and governmental investigations. He represents several trustees of residential mortgage-backed securitizations in actions seeking to recover billions of dollars from the investment banks who packaged and sold defective mortgage loans to unwitting investors. His RMBS work earned him a spot on the Benchmark Litigation 2016 and 2017 "Under 40 Hot List." Zach is also an advisor to clients working in the business of sports. He counsels and represents team executives, players, and football agents, and he is a NFLPA-certified contract advisor. Zach began his career representing Royal Bank of Canada in the Enron securities class action litigation. Zach and his team obtained a dismissal of RBC from the Enron investors’ lawsuit that wrongly sought to hold RBC liable for the losses caused by Enron’s fraudulent activity. He also represented RBC in a dispute with Rabobank over its obligation to pay on a $517 million Enron-related credit default swap. Additionally, Zach has handled disputes arising out of commercial contracts, business torts, and commercial leases.